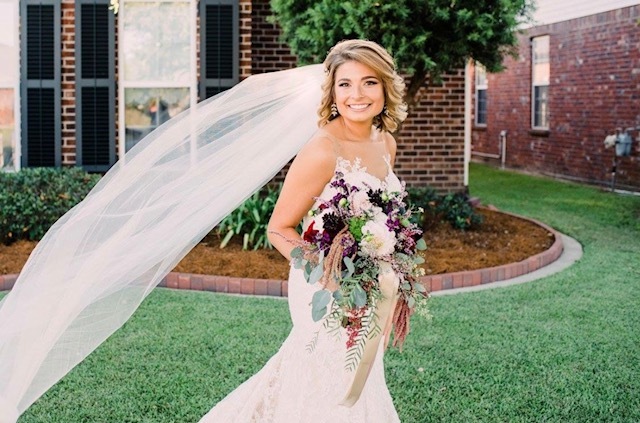 Spring is nearly here and what a better way to celebrate than to look back at Randi's bright and fresh spring wedding! 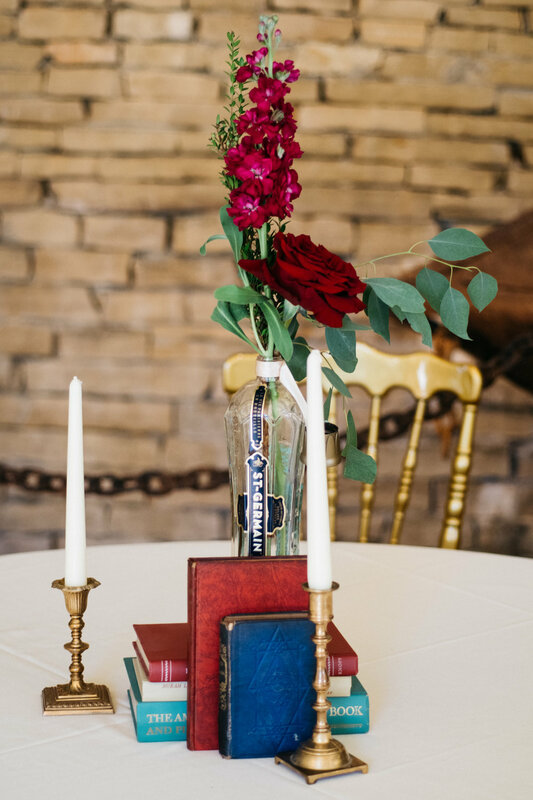 Rich berry colors and cool textures made this wedding one for the memory books. 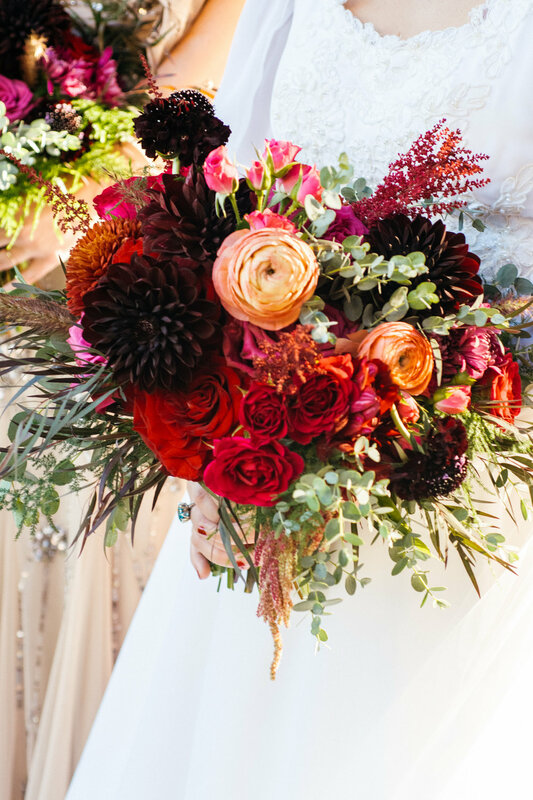 There are two things I don’t often get to work with, a bride with the same name and seasonal blooms in these colors! 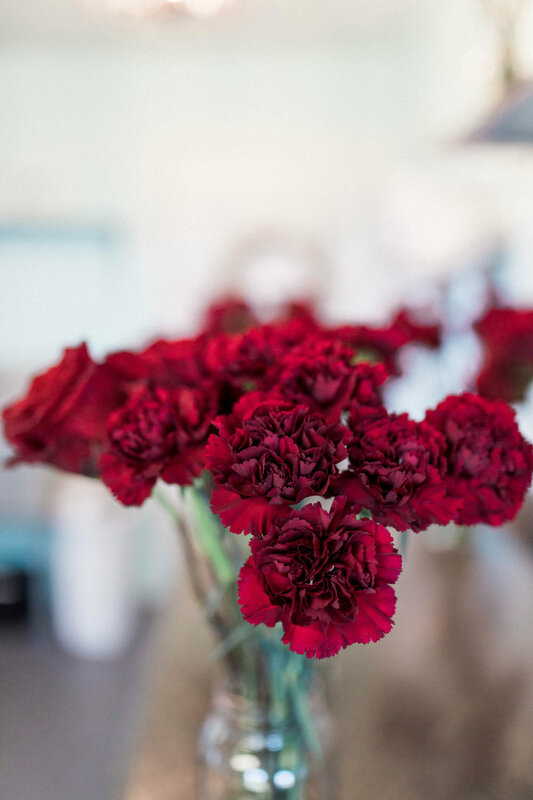 When you bring bold colors into the mix, you're sure to make me smile. Happy Anniversary Randi and Wyatt! 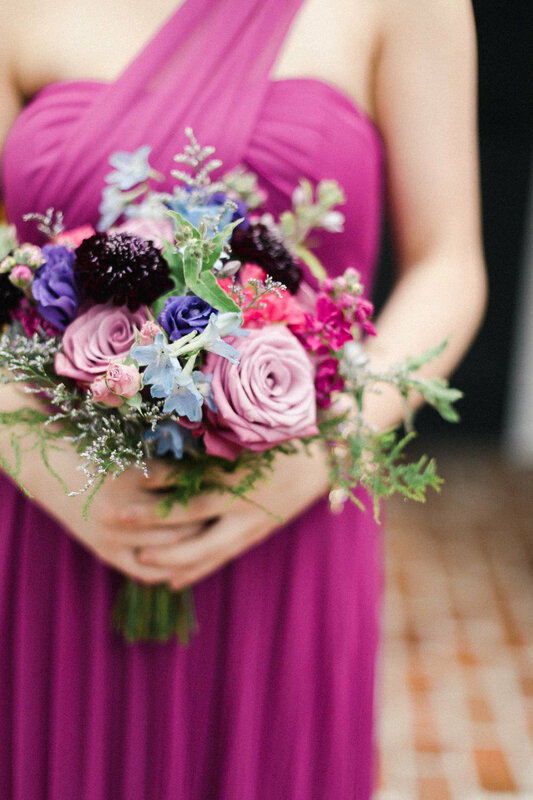 Rich berry colors and cool textures for this beautiful April wedding! 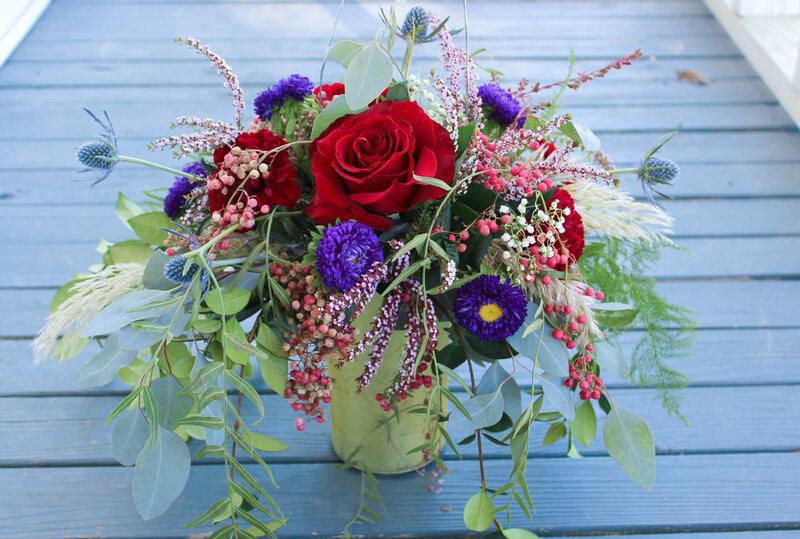 After meeting with Megan about her wedding, I knew her floral arrangements were going to be one of my favorites to design. 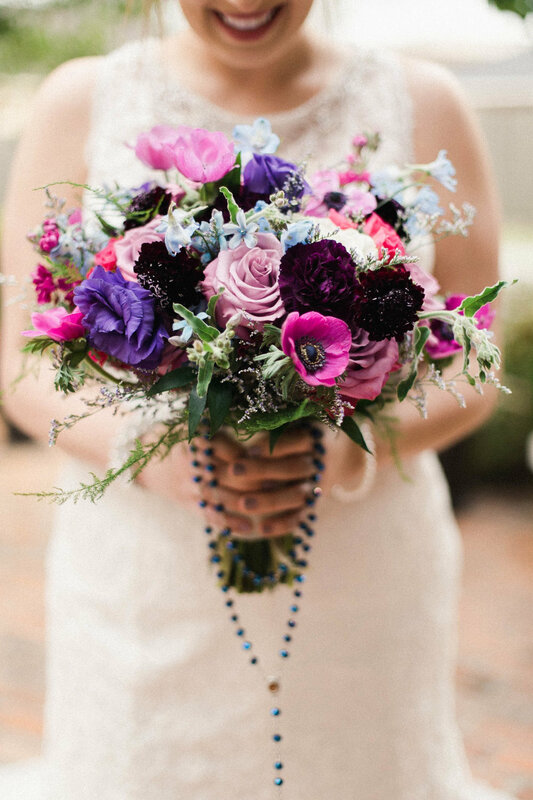 She knew what color scheme she wanted, but allowed me to be creative with the style and textures of the arrangements so I really got into it! 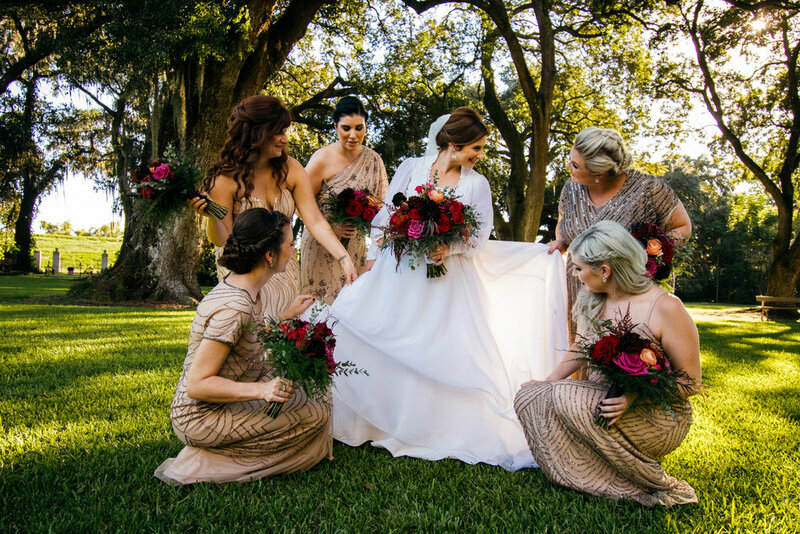 My vision was an overall eclectic, southern and modern vibe to go with the Neptune room at Houmas house . 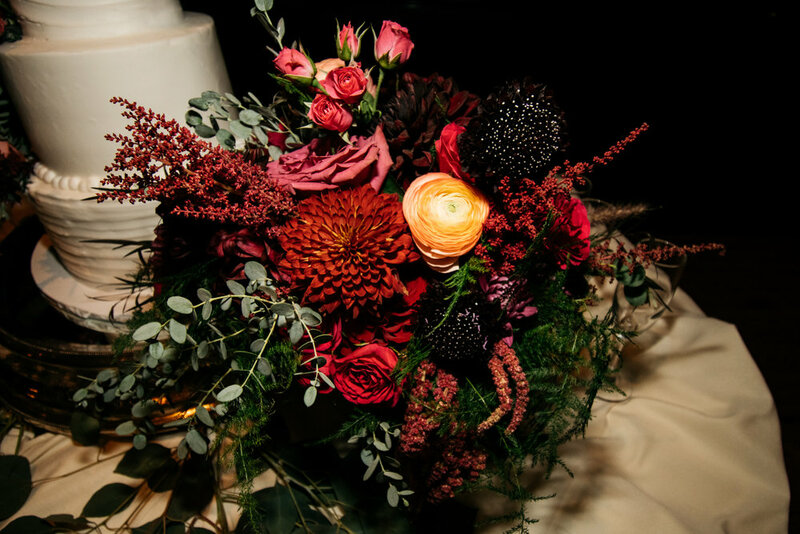 The magnolia leaves and black millet in the arrangements pulled the vibes from the southern heritage of the venue while the style and shape of the arrangements made them modern. 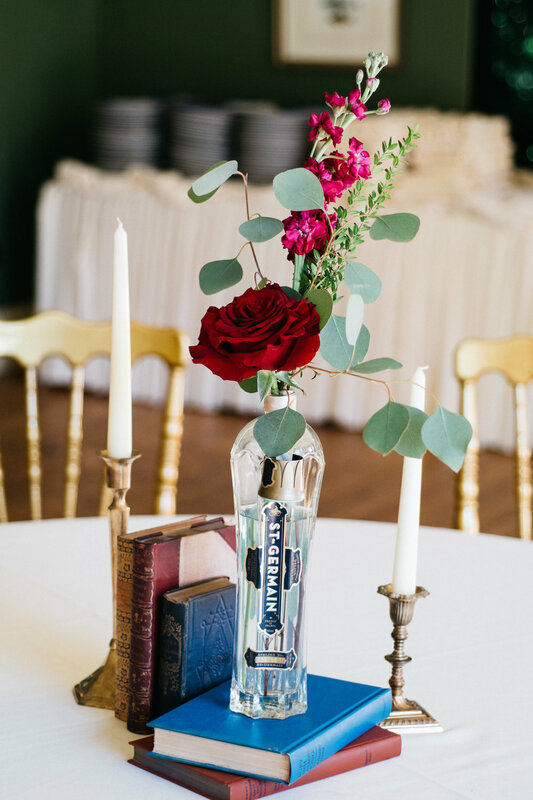 I selected the gold trumpet vase to match the Neptune room and the St. Germaine Elderflower Liqueur bottles that were a unique personal touch added by the couple. 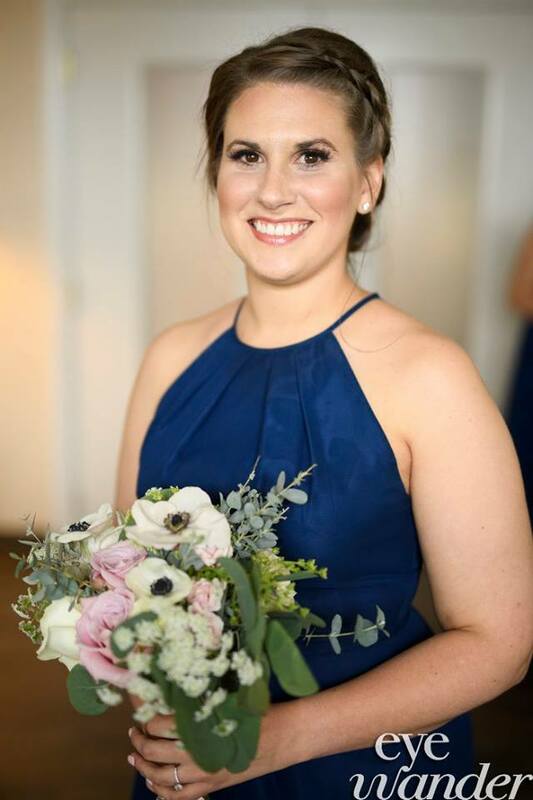 As you can see in the pictures below, the wedding turned out beautiful! 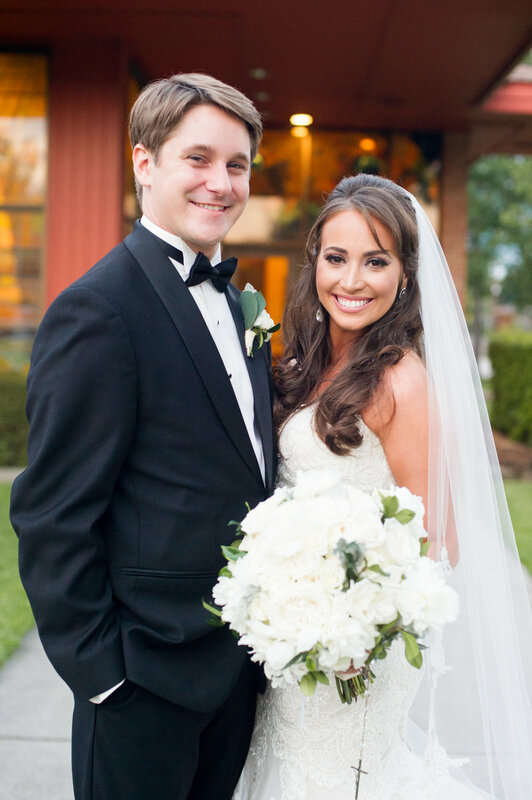 We are so happy for Megan and Tyler and wish them a lifetime of happiness! 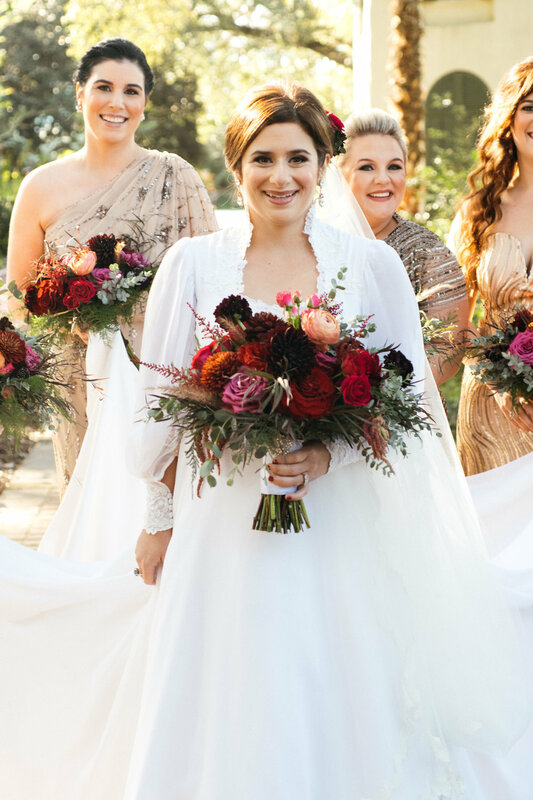 Blush paired with jewel tones for this Fall Wedding! 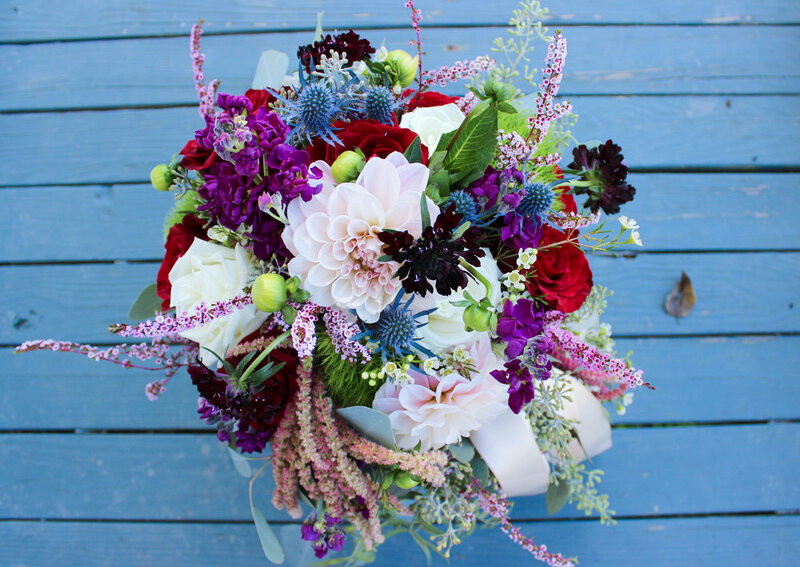 Whitney's bouquet was filled with cafe' au lait dahlias, blackberry scabiosa, blue thistle, calcinia, green trick and stunning deep red roses! 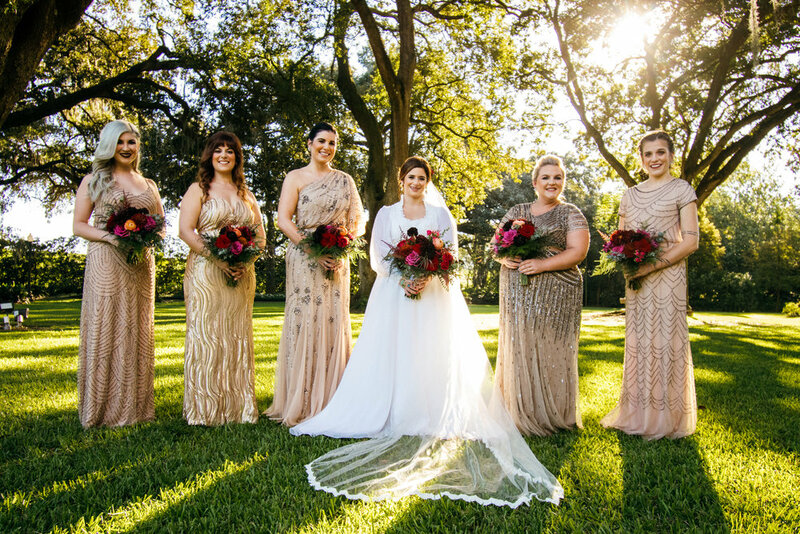 Bohemian bouquets matching the bride's bouquet for these golden bridesmaids! 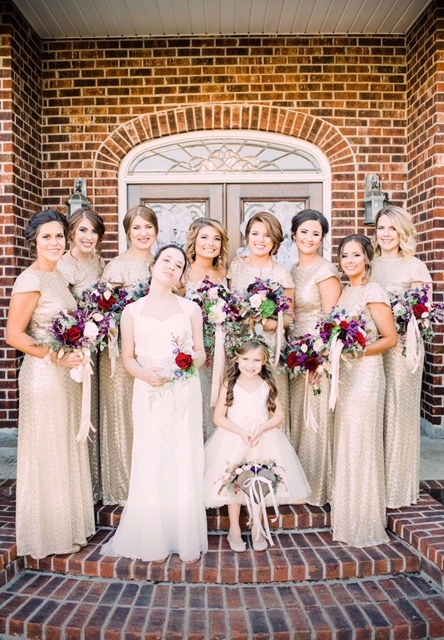 This is the perfect amount of gold tinted eucalyptus to pair with those stunning gold dresses! 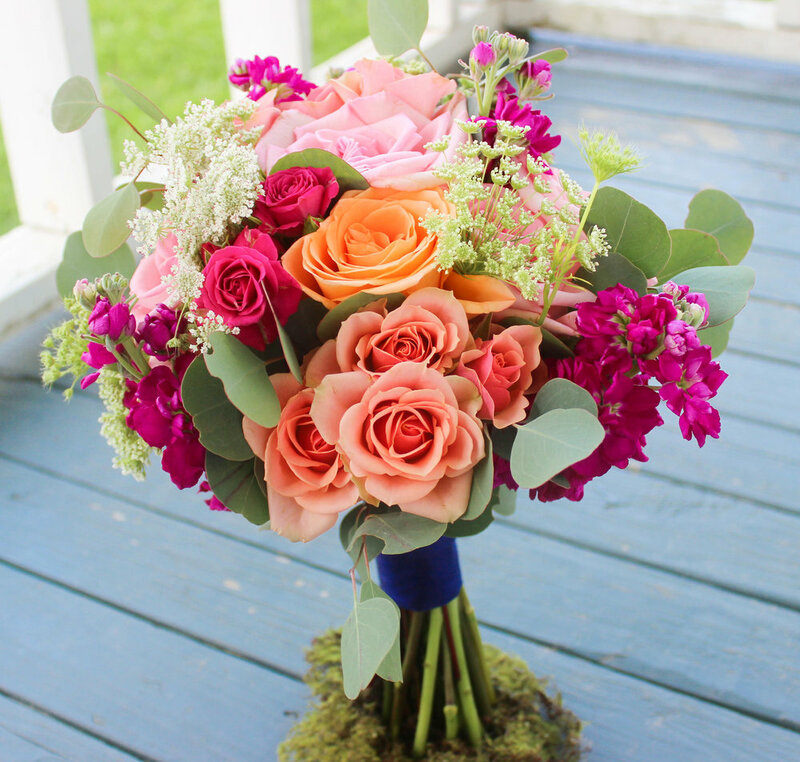 A mini bouquet and a floral basket for these sweet girls! Rifle casings for the guys! 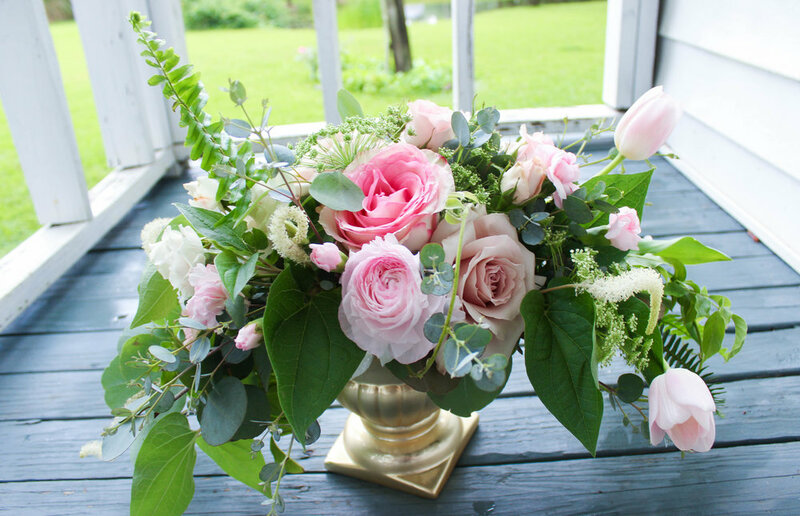 The perfect touch of gold and rustic charm to satisfy both the bride and the groom! Pew markers were used to decorate the church and then again at the reception as centerpieces. 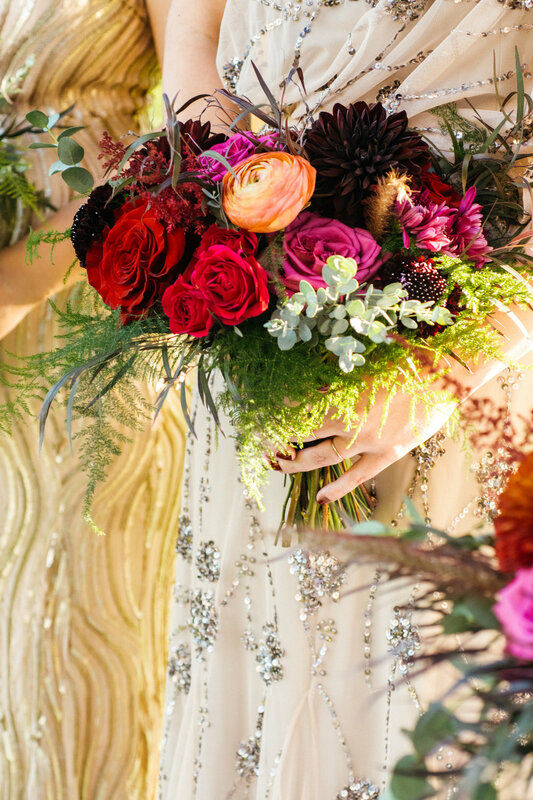 The overall theme of my wedding was a mix of bohemian and rustic. I chose my wedding color palette from Pinterest, honestly. I showed Randee the colors and what I wanted and she honestly nailed the color scheme better than I thought possible. It went perfect with the bridesmaid dresses! My floral style was very bohemian. 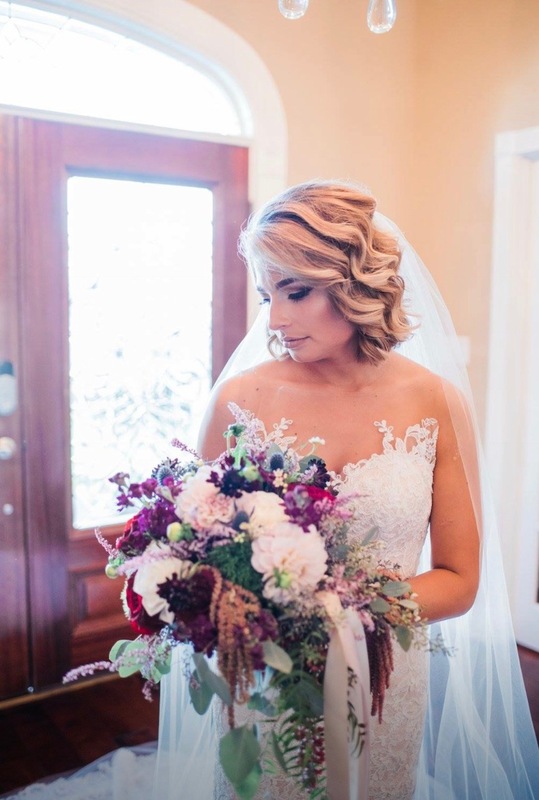 I wanted my flowers to be very free flowing with no “shape.” I saw a lot of the Floral Cottage's styles like this on their social media so it was easy to explain to her what I wanted as she was very used to this style. I wanted lots and lots of flowers falling and draping down. 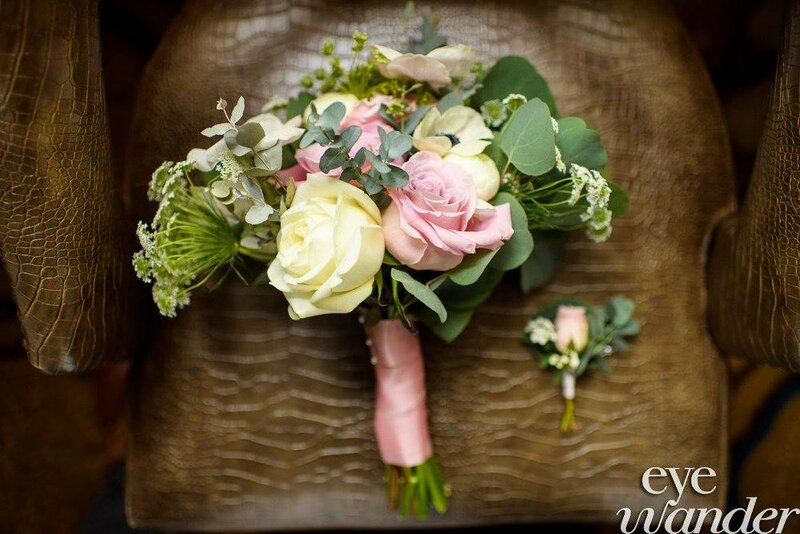 Randee gave me the idea of adding ribbon hanging from my bouquets which I loved. She also had flowers hanging from the boutonnieres, which I personally haven't seen much of, so I thought this was very unique and she incorporated the bullet casings just as I asked! 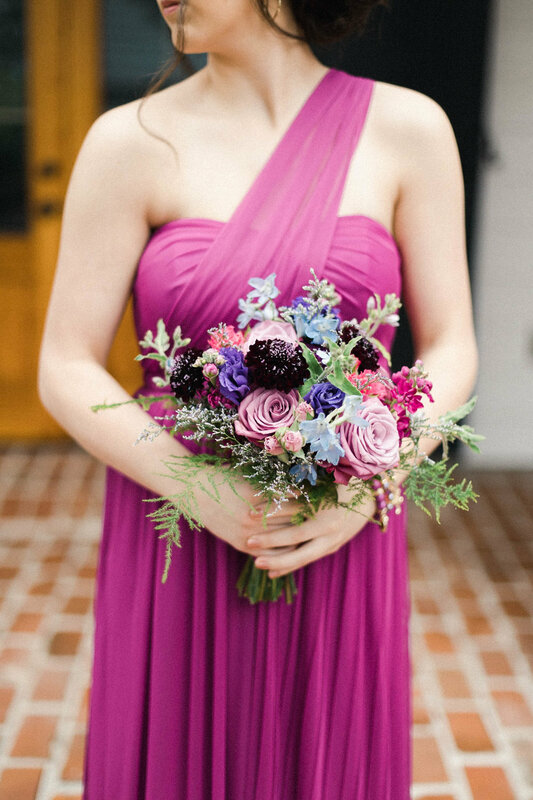 I wanted different, unique flowers and I honestly couldn't say any more that the Flower Cottage just plain NAILED IT! Randee took my ideas/pictures and ran with it! EVERYTHING, PLAIN AND SIMPLE! The service from start to finish, the delivery man was sweet, and the overall presentation of my flowers! Everything was organized and labeled which made the day that much less stressful! 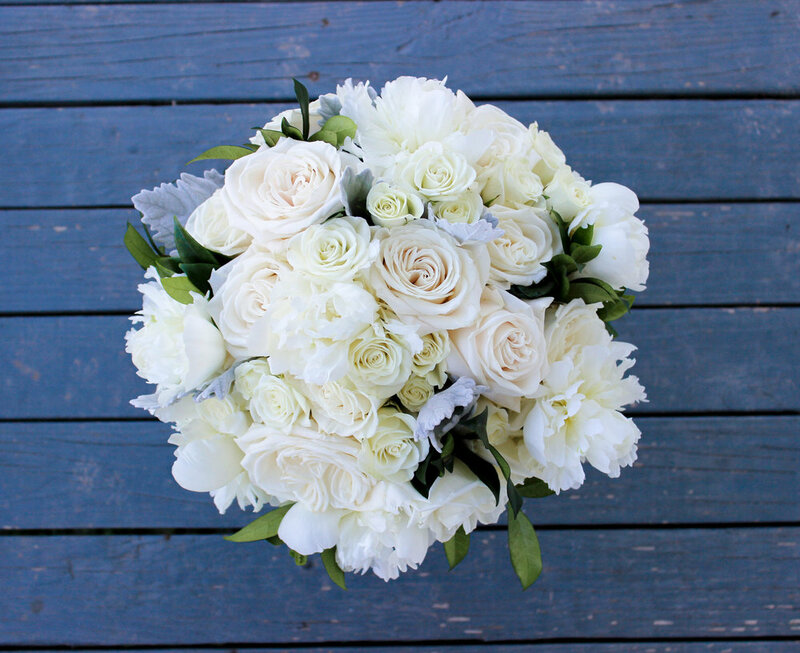 Thanks to Whitney for trusting The Floral Cottage for your wedding day! It was our great pleasure to design for your wedding day! 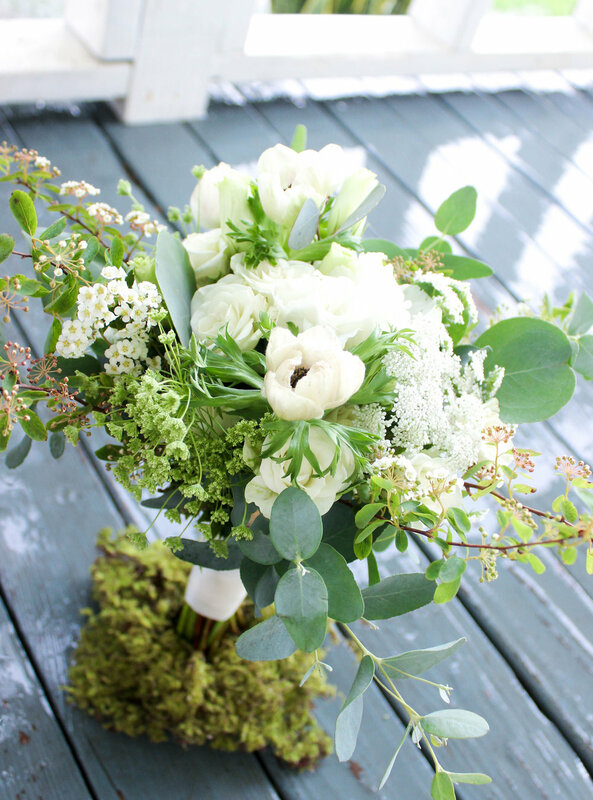 White Flowers + Eucalyptus...Need I say more? 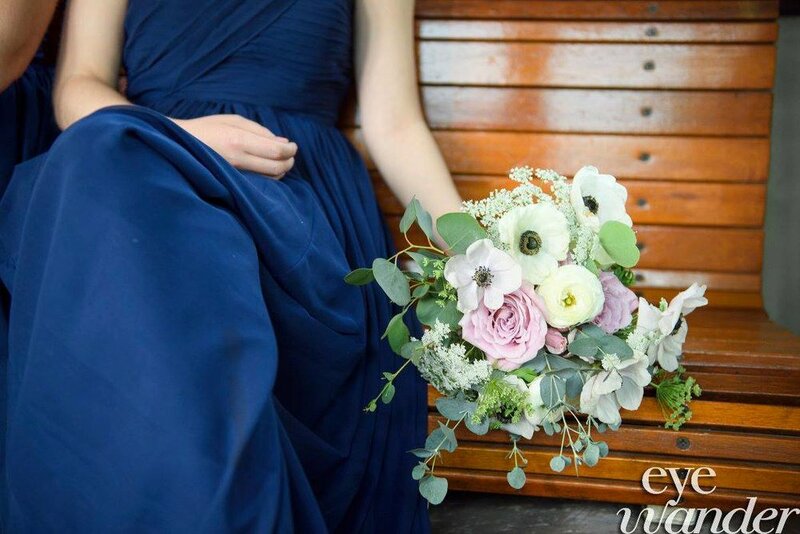 Stefania's Spring wedding has been a popular request from so many of our recent brides: crisp white flowers with sage colored eucalyptus. 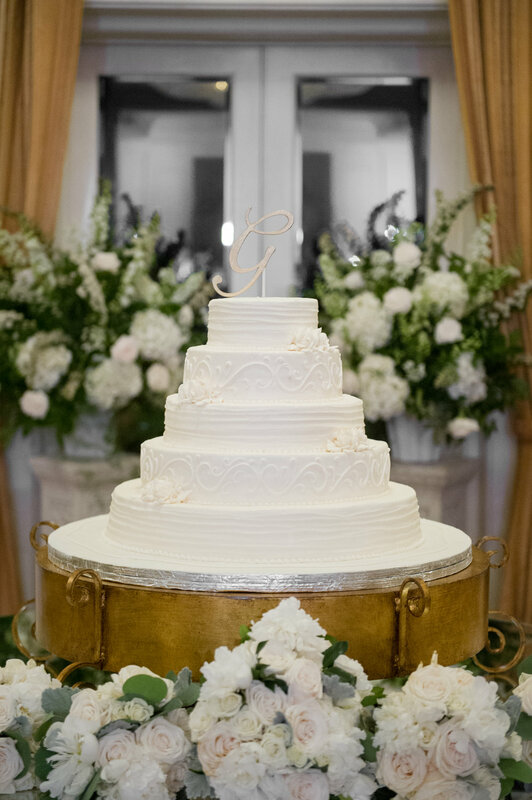 You can't go wrong with this simple elegance! 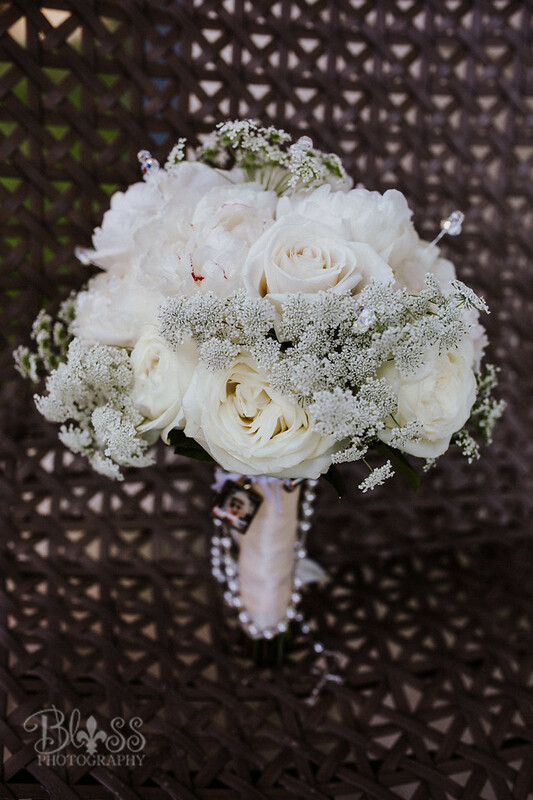 Stefania's vision was to keep the colors fresh and modern in shades of bright white, cream and sage colored foliage. 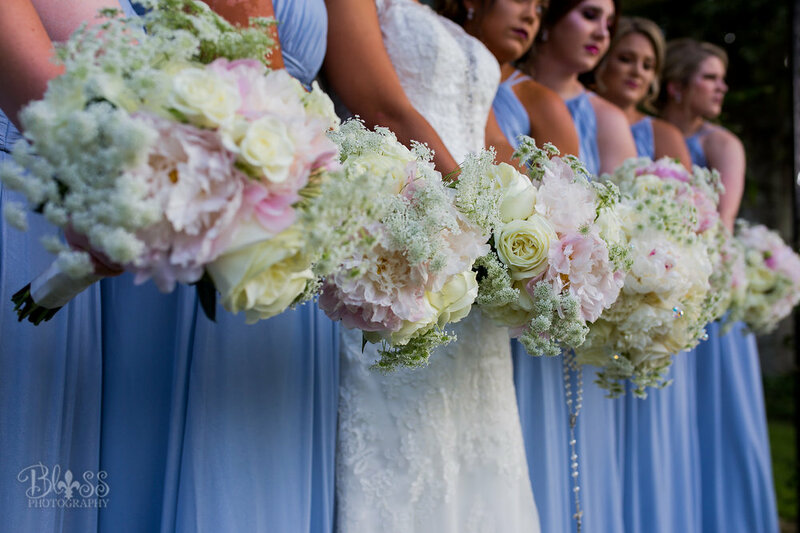 The bride's garden-bohemian style bouquet was filled with polo roses, lisanthus and peonies with gunni eucalyptus and dusty miller. 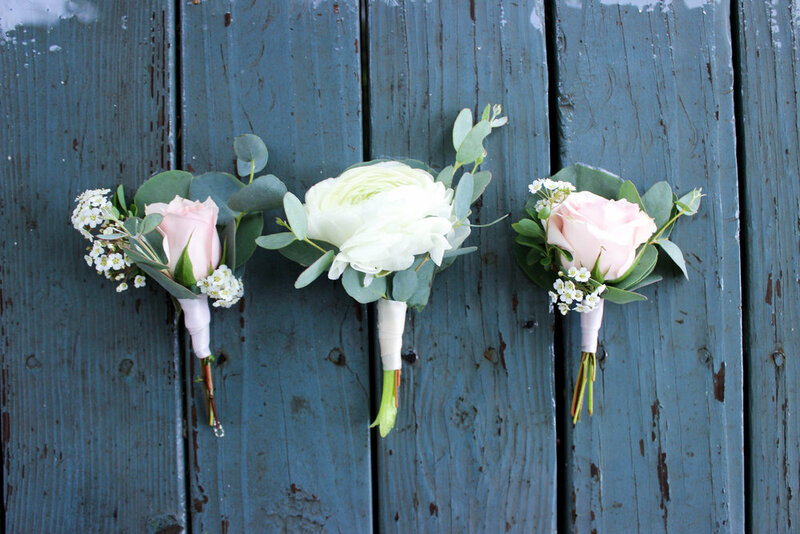 The bridesmaids wore taupe dresses and held bouquets of white lisianthus and ivory roses with eucalyptus. 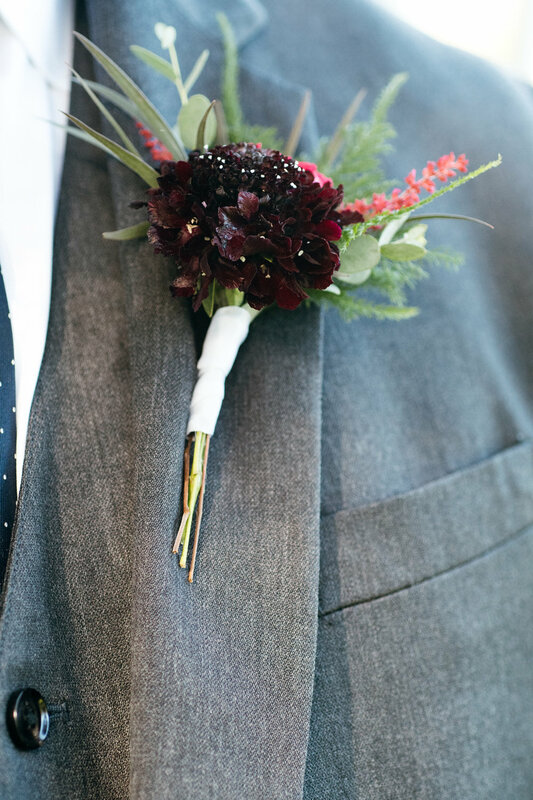 The guys wore boutonnieres of white lisianthus and gunni eucalyptus. 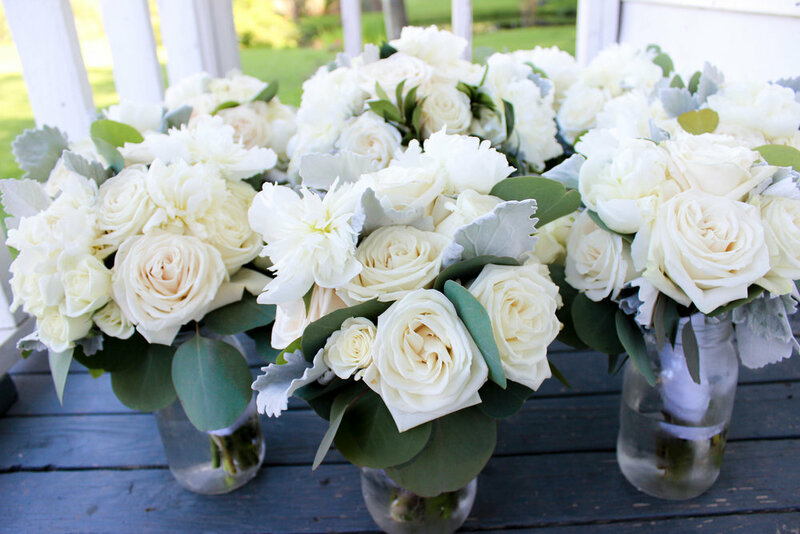 The mothers held mini bouquets of spray roses, lisianthus and eucalyptus. 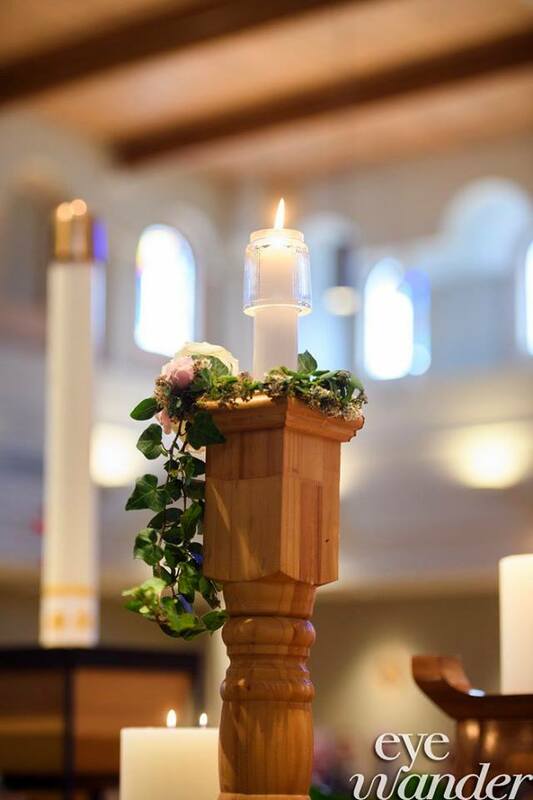 The pews at St. Joseph's Cathedral were adorned with simple white hydrangeas and satin ribbon. The reception was held at the Trademark in Downtown Baton Rouge. Recently redesigned by Stefania, The Trademark was a special place for her. 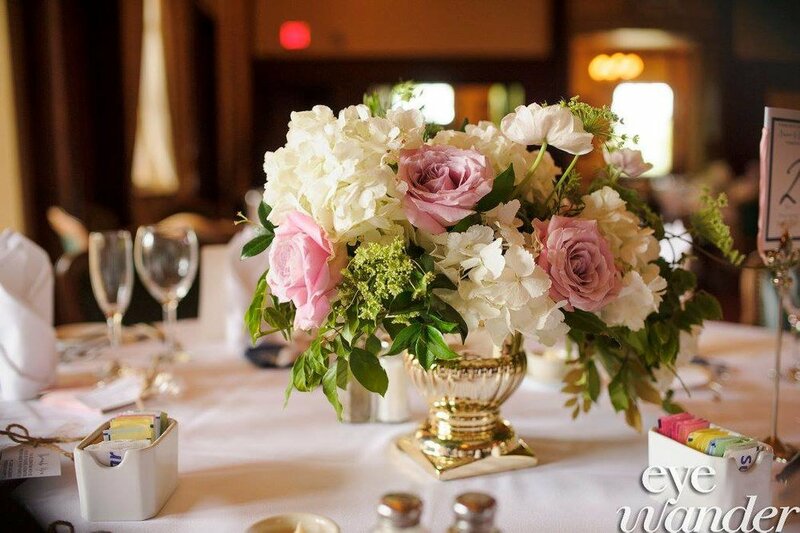 The tables were filled with bohemian style pedestal arrangements in shades of ivory, white and taupe. 4. 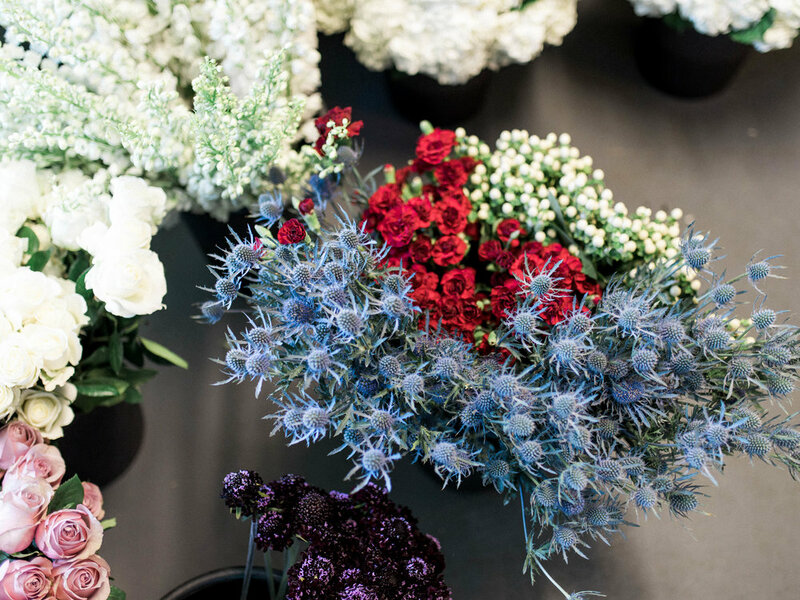 What was your favorite part about your wedding day flowers? How did they did look romantic and the slight touches of color were perfect. 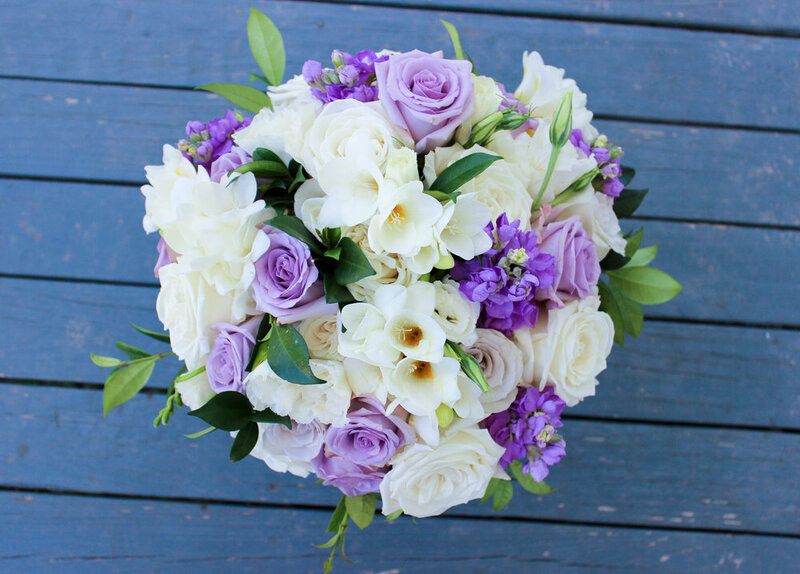 Thanks to Stefania and Garrett for allowing us the privilege to design the flowers for your wedding day! Your vision was lovely and all of the details were perfection. We appreciate you! 2017. Where do I begin? A new baby, flood repairs, lots of weddings and sweet brides as well as connecting with new wedding professionals sums up 2017 for us! 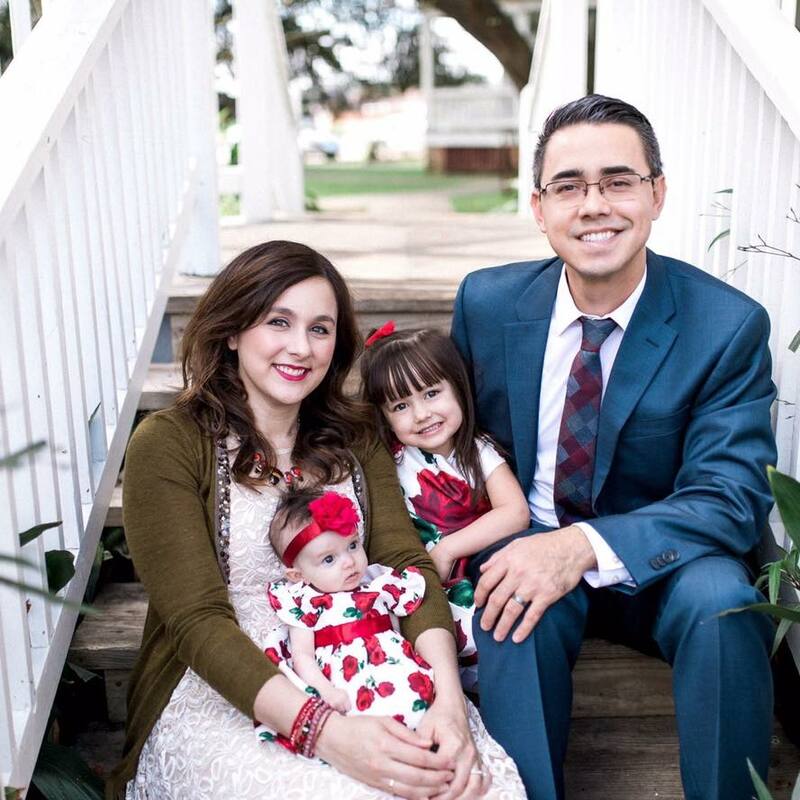 Let's start with our new addition, Scarlett Kate! She was born on August 15 which was, coincidentally, the one year anniversary of the 2016 flood that devastated our little community. She was born healthy and happy, but has been a LOT of work since then! 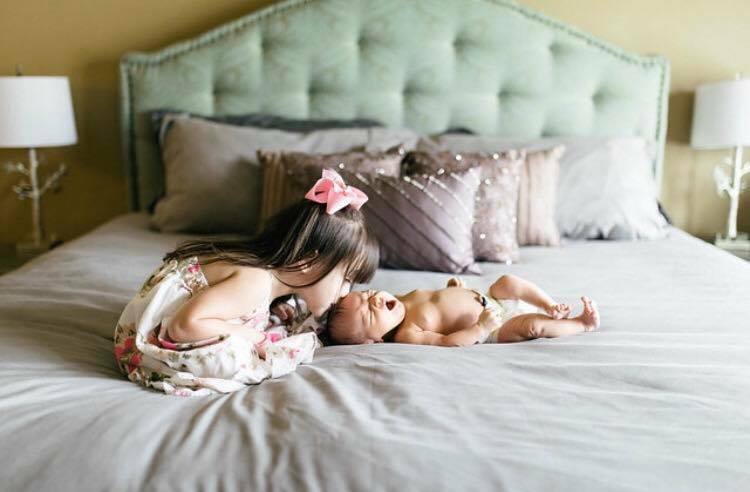 People aren't kidding when they say the second child is a game changer. I haven't slept well since the 2nd trimester of my pregnancy! My apologies in advance if I have trouble composing a sentence or call you by the wrong name. Ha! Kids are no joke! 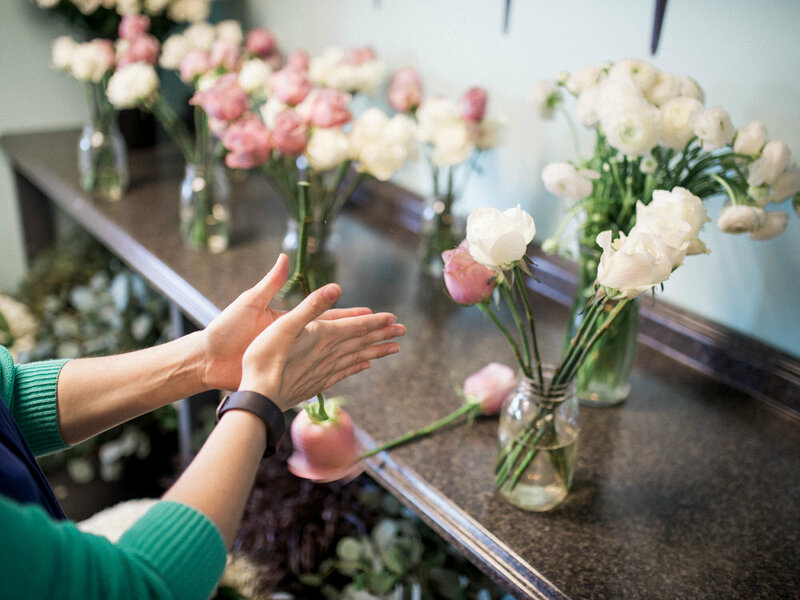 Since her arrival, I've been working a lot from home while Becky has been working from our cute and freshly renovated flower shop. 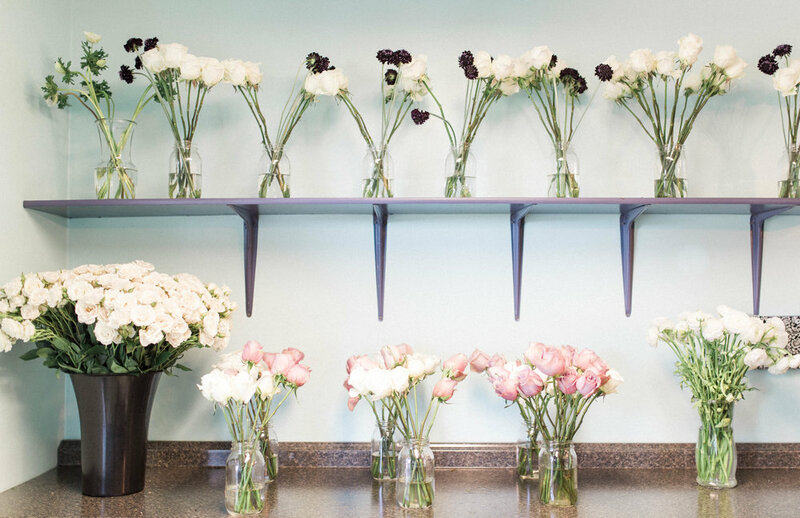 Finally, after over a year, our flower shop has been renovated! 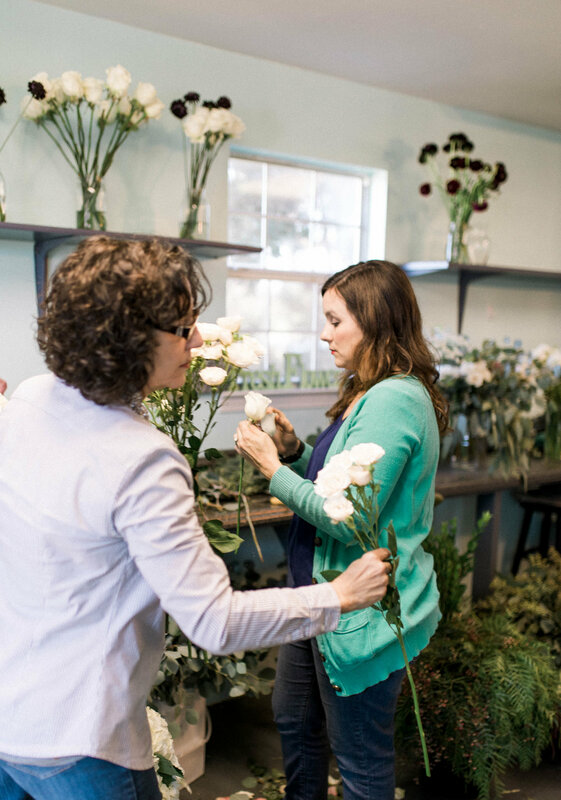 Back in 2016, Becky's home as well as our flower shop flooded. 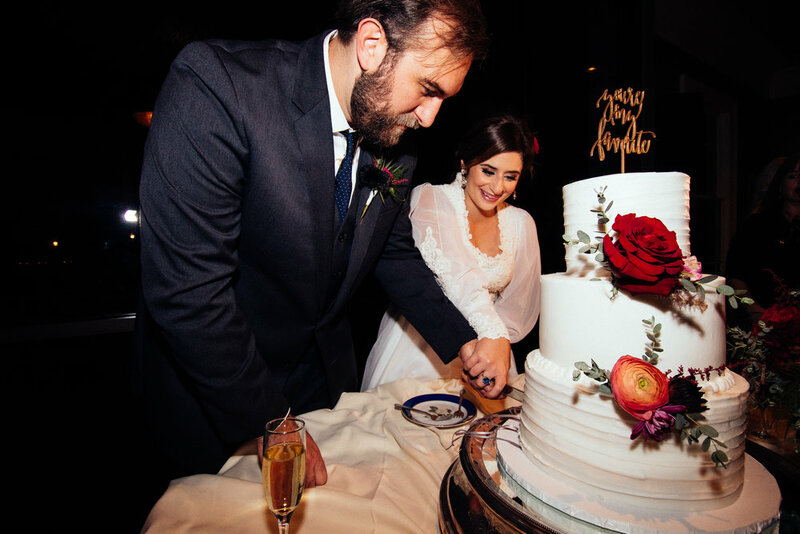 We were in survival mode from day one and hit our Fall and Spring wedding seasons hard. 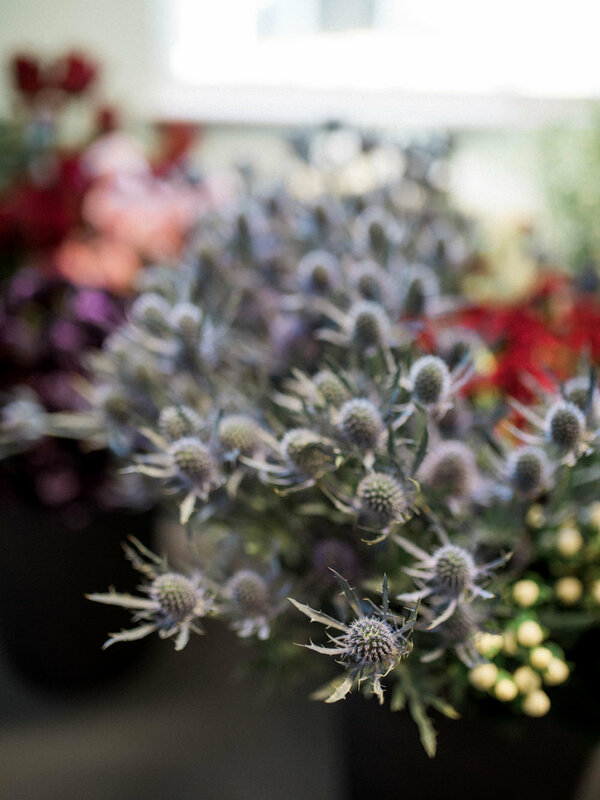 Summer arrived and we were able to breathe long enough to finish our flower shop renovations and prepare for the arrival of Baby Scarlett. 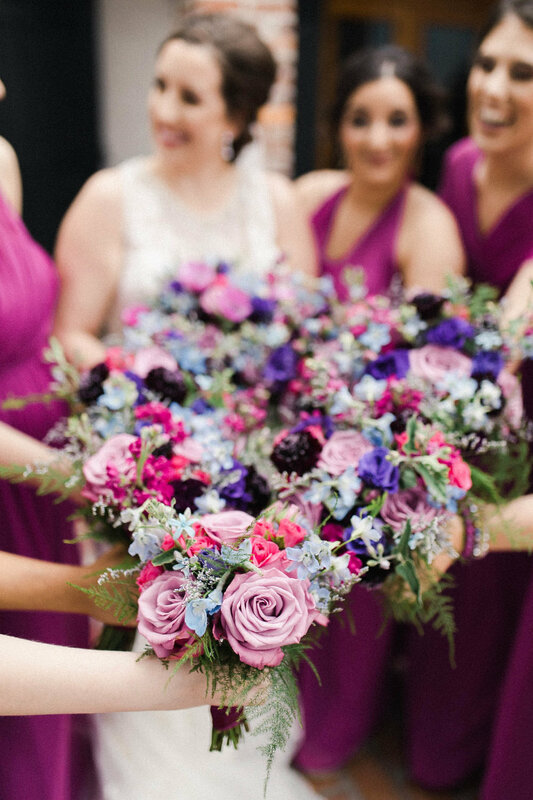 2017 brought us beautiful flowers, great opportunities and sweet brides trusting us to design their wedding day flowers. That's what it's all about after all! 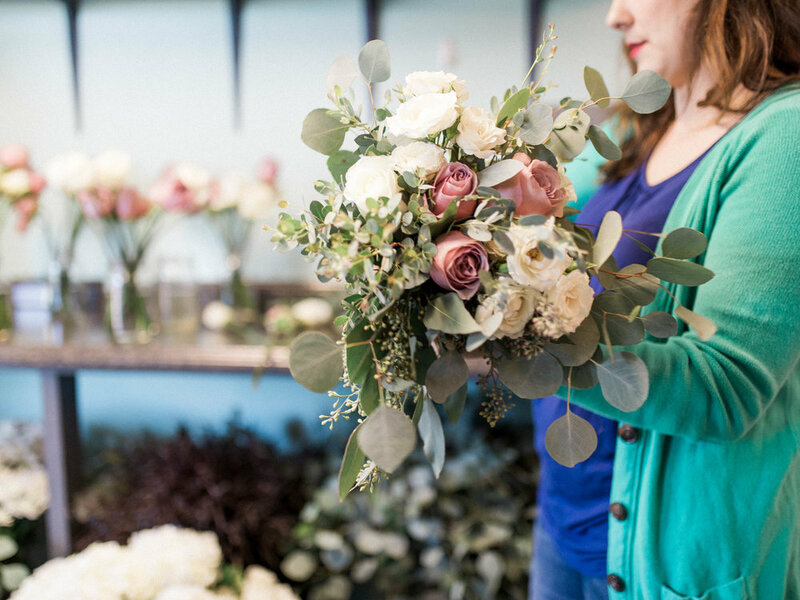 Kaylie from Kaylie Nicole Photography stopped by during the height of our busy October wedding season to capture a day at the flower shop. Here are some of our favorites! We were lucky enough to be featured in Southern Bride and Southern Celebrations magazines along with some amazing wedding vendors! 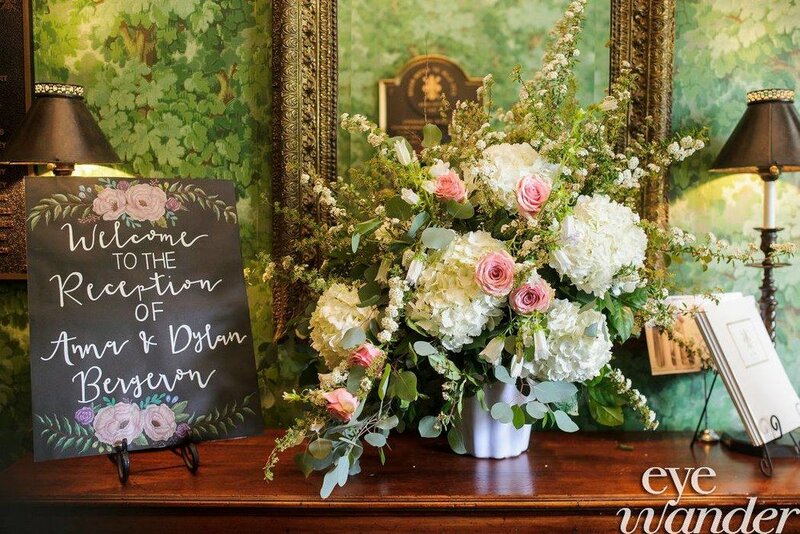 Roses, ranunculus, eucalyptus, blush pink and rose gold...those are just a few of the wedding trends of 2017! In 2018, I hope that I can make great growth both personally and professionally. 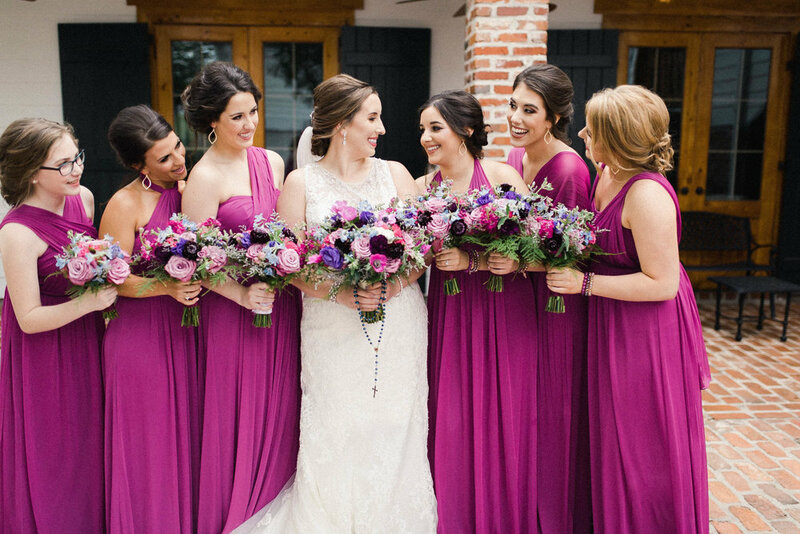 I will be focusing on my children first and foremost while also continuing to build professional relationships with fabulous wedding vendors in southern Louisiana and all of our upcoming 2018 & 2019 brides. 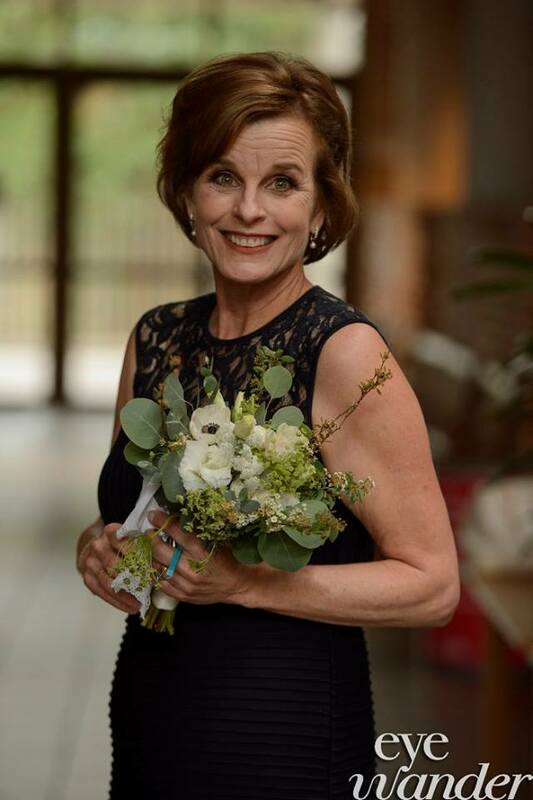 My mom, Becky, and I would love the opportunity to design for those brides who'd love a creative, stylish and hard-working floral team. 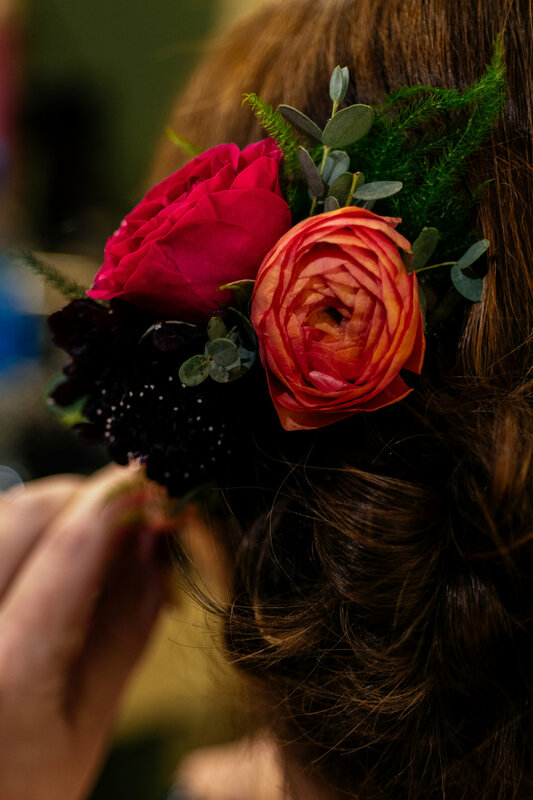 We are constantly evolving and improving our designs, expanding our repertoire by trying new things and making the best possible experience for our brides. We appreciate the opportunities that 2017 brought us and we look forward to growing even more in 2018! Thanks for all of your continued support and encouragement over the years. Here's to a fantastic 2018! 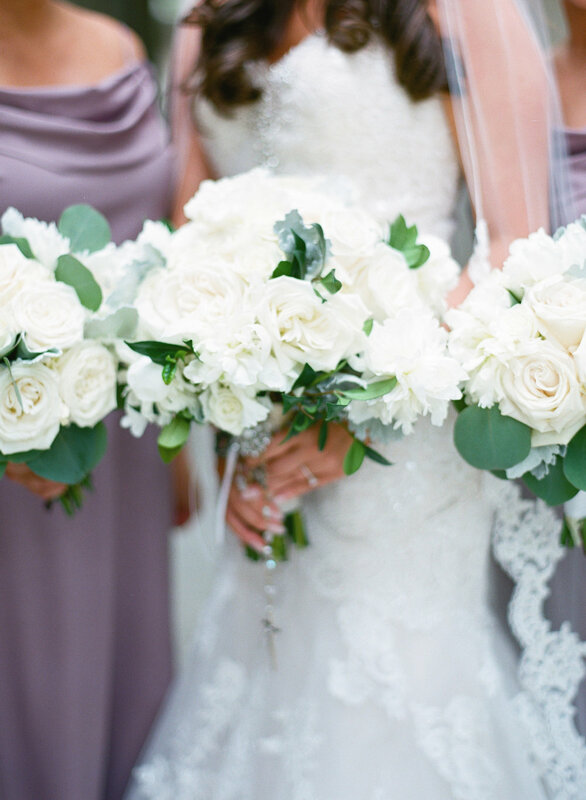 Get inspired with shades of lavender and blush from this April bride. Our very first blog is coming this June! Stay tuned for updates.